Or not. Sorry, I couldn’t resist that title, but if you really want to know how to make a placenta smoothie, you’ll have to look elsewhere. I opted for the much more palatable encapsulation. I first heard about placenta encapsulation in our childbirth education class. I initially thought encapsulation was just a way to save the placenta, kind of like cord blood banking. Not exactly. Many mammals consume the placenta after giving birth, although it is relatively rare among primate species, including humans. The placenta contains high levels of some hormones, vitamins, and minerals, which are purported to be beneficial to the mother in the postpartum period (pro-placenta consumption info here). Unfortunately, there’s little scientific evidence for or against the practice, so we were on the fence. (Matthew really likes evidence, and I kind-of do, too.) Going into the birth, I planned to freeze the placenta (what? is that not a normal thing to keep in the deep freeze? ), which would give me the option of having it encapsulated later. When I ended up in the hospital, it looked like those plans were all for not. I requested that the placenta be saved for me to take home, and the staff responded that it was against hospital procedure — they would dispose of it as a biohazard. Just one more item on my birth plan that they denied. At the time, facing the excruciating decision of whether to have a Cesarean or not, I gave the placenta up as a lost cause. Long story short, and in an effort to keep anyone from getting in trouble, after the surgery, I found myself in the recovery room with my mother-in-law and one of my midwives. And the placenta. I made a snap decision that, given the trauma of the birth, I would need all the help I could get in both my physical and emotional recovery. If the placenta might help, why not? One thing led to another, and before I check out of the hospital, I had a jar with 142 capsules in my hot little hand. I took most of them in the first few weeks, saving a few for later. I’m down to the last few capsules now. In general, I’m pretty happy with my physical recovery. However, as I wrote last week, I’ve definitely had some postpartum adjustment issues, which may or may not be classified as full blown PPD. Would it have been even worse without the placenta? Maybe, maybe not. I may never have proof of the efficacy, or lack thereof, but I’m happy with the decision I made. If nothing else, it represents a tiny victory, something that went my way, in the birth. 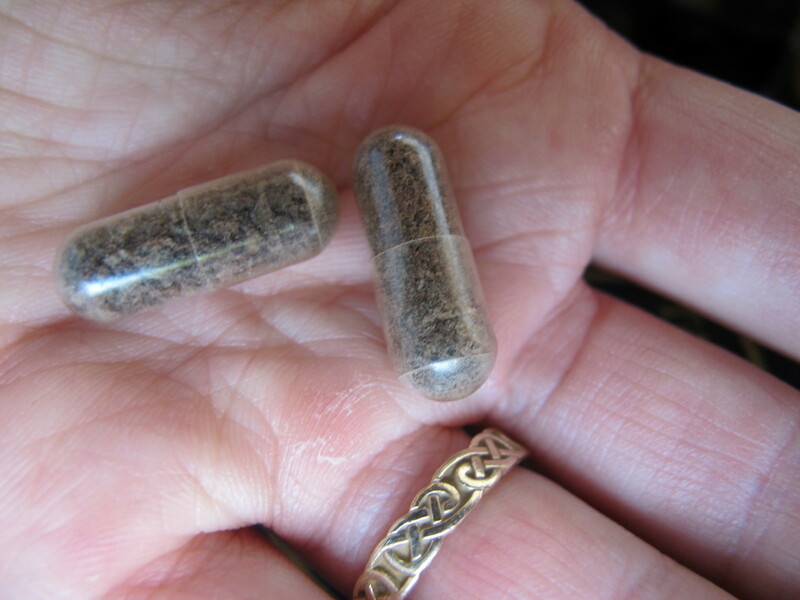 This entry was posted in Health, My Life and tagged childbirth, placenta encapsulation, pregnancy. Bookmark the permalink.